I remember when I first started incorporating orthography into my lessons. I was kind of panicky about having to be absent and needing to leave plans. How could I create a worthy activity, and then give the substitute teacher enough background information to lead it? Would opportunities for rich discussion go unnoticed by a teacher without real understanding of English spelling? The nagging answer to that question was, “Of course they would.” And because I couldn’t stand the thought of those teachable moments dissipating without notice, I left plans for other subjects, but not for orthography. It didn’t take long before I felt guilty about that. I mean, studying orthography has become the most important subject I teach! Surely there were some activities I could put together that would keep my students thinking about words with or without me. Over the years I have repeated several of the activities that I found worked well. Just as importantly, I have learned how to set my lessons up for the substitute. I include notes on what to say as the activity is introduced and also on what to expect from the students. Recently I was absent for three days in a row. I thought I’d share the activities I planned for those absences along with my reflections of the student work (which always results in ideas of what to do next). Being gone for three days is unusual for me. So what to leave for the students to do? I wanted to vary the activities so that they weren’t doing the exact same things each day, yet I wanted to reinforce the idea of a word’s morphemic structure. Write the word <make> on the board. Have students get a piece of lined paper from the shelf near the door. They are to put their name in the upper right corner of the paper. They are to write the word <make> on the top line of their paper. Then they are to write the words you read aloud as word sums. We have done this several times, so they know what to do. Remind them they are to write synthetic word sums for each word you read. Ask someone to explain to you what a synthetic word sum is. Ask them to skip a line on their paper between each word sum. Here are the words to read. Use them in a sentence if you can think of one. “M-a-k-e plus e-r is rewritten as m-a-k (replace the e) e-r.” Ask the student reading the word sum why the final non-syllabic <e> is replaced. I am hoping they say something like, “it is final and non-syllabic AND the suffix begins with a vowel”. “M-a-k-e plus i-n-g is rewritten as m-a-k (replace the e) i-n-g.” Ask the student why the final non-syllabic <e> is replaced. I am hoping they say something like, “it is final and non-syllabic AND the suffix begins with a vowel”. “R-e plus m-a-k-e is rewritten as remake”. Ask why we don’t replace the final non-syllabic <e>. I am hoping they say, “we are not adding a suffix”. “M-a-k-e plus u-p is rewritten as m-a-k-e-u-p”. Ask why we don’t replace the final non-syllabic <e>. I am hoping they say, “we are not adding a suffix. We are adding another base and making a compound word. We only apply suffixing conventions when we are adding suffixes”. “F-i-l-m plus m-a-k-e plus e-r is rewritten as f-i-l-m-m-a-k-e-r”. Ask why we replace the final non-syllabic <e> on <make>. I am hoping they say, “because the e is final and non-syllabic AND the suffix begins with a vowel”. “T-r-o-u-b-l-e plus m-a-k-e plus e-r is rewritten as t-r-o-u-b-l-e-m-a-k-e-r”. Ask why we replace the final non-syllabic <e> on <make>. I am hoping they say, “because the e is final and non-syllabic AND the suffix begins with a vowel”. “M-a-k-e plus o-v-e-r is rewritten as m-a-k-e-o-v-e-r”. Ask why we don’t replace the final non-syllabic <e> on <make>. I am hoping they say, “because we are not adding a suffix. We are adding another base and making a compound word, so the suffixing conventions can’t be applied”. Save the stack of papers that was collected so I can look them over. This is an activity I do fairly often with my classes. I get some valuable information from the student work, such as whether or not students recognize certain suffixes and/or suffixing conventions. Here are a few examples of what the student papers looked like. Looking at this first sheet, I realized we would need to address the random capitalization of <maker> and <making>. I notice each year that students come in capitalizing certain letters whether or not it is warranted. The next thing I notice is that although this student understands that the single final non-syllabic <e> in the word <make> can be replaced when followed by a vowel suffix, they are not recognizing that <up> is not a suffix here. It is another base element and this word is a compound word. This student did the same thing with the word sum <make + over>. The suffixing conventions apply when a suffix is joined to a base, when a suffix is joined to another suffix, and sometimes when a connecting vowel is joined to a base. 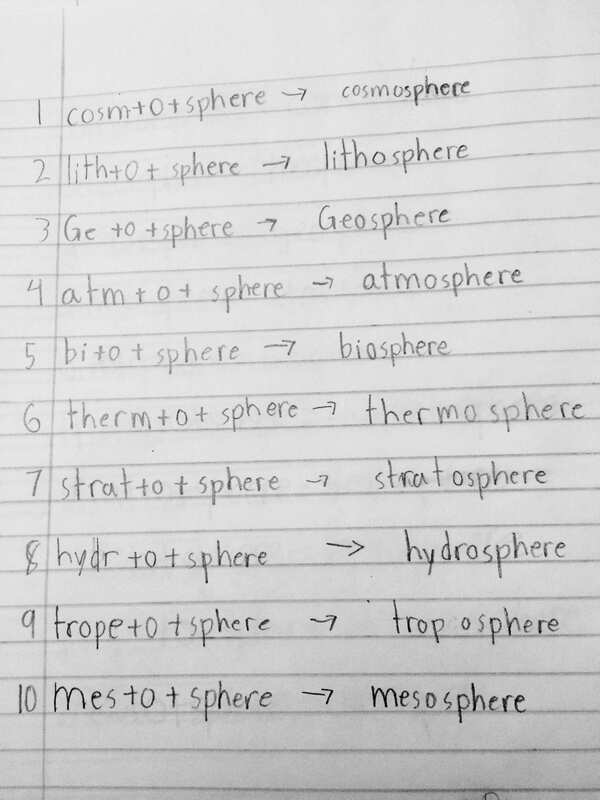 Looking at this sheet, I see that this student is not writing out a full word sum for each word. I will need to explain again how writing word sums will help them as spellers. It will get them in the habit of thinking of words as elements that join to form a word, and that the word’s specific meaning is represented by the sense and meaning of the specific combination of elements. Another thing to note is the unfamiliarity of the word <filmmaker>. We will need to talk about what a filmmaker is (in case the substitute did not catch this or address it). 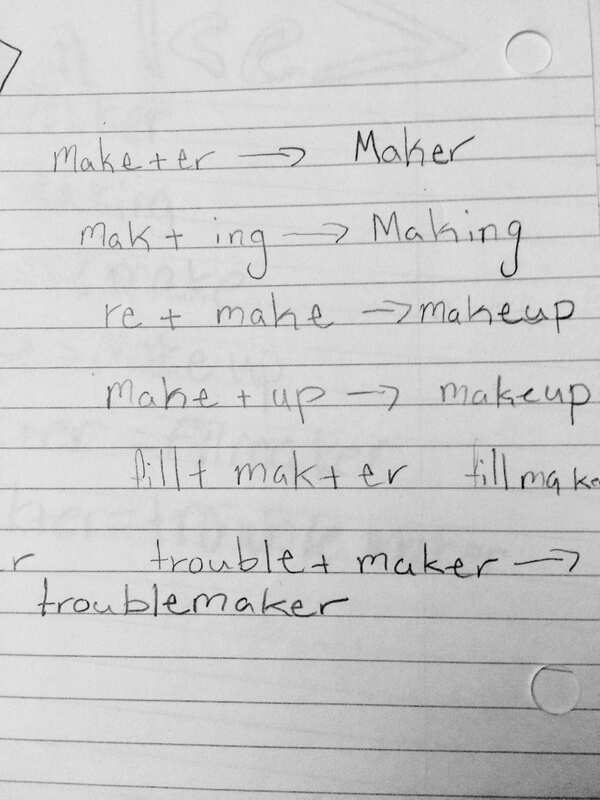 One last thing I see here is the word sum for <troublemaker>. I’m pleased that this student recognizes that in some words, <-le> is a suffix. Some examples are <sparkle>, <single> (from Latin singulus “one, individual” – not related to Old English singan “to chant, tell in song”), and <nestle>. 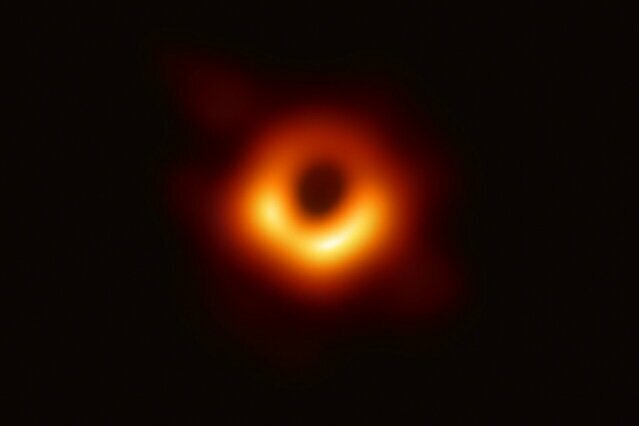 We’ll have to look at <trouble> together to find out if this is one of those. Better yet, perhaps I can send each student (or each two students) on an investigation of a word with a final <le> spelling. Then we could compile our findings and see what we notice. Is it always a suffix? Is it sometimes a suffix? Is it rarely a suffix? Looking at this paper I’m curious about the shifting spelling of the base element we are focusing on here – <make>. 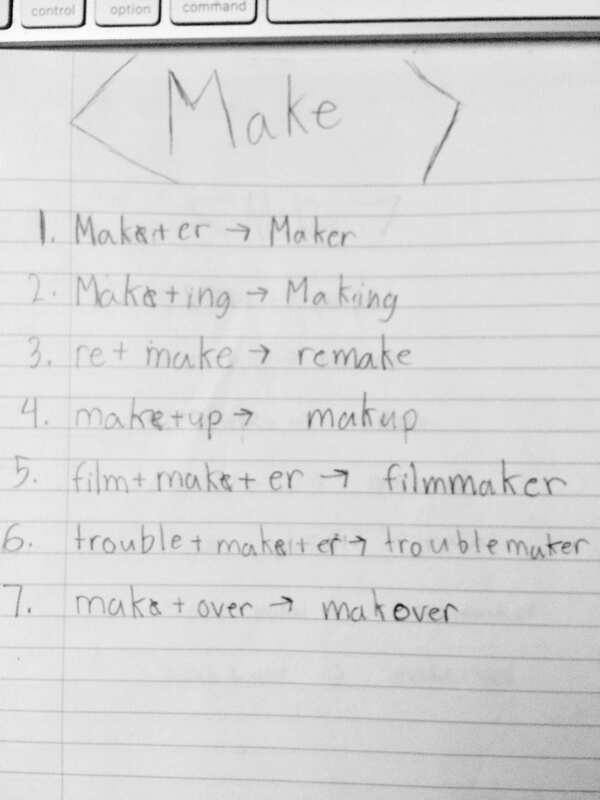 This student is not consistently recognizing the spelling of the base as <make>. 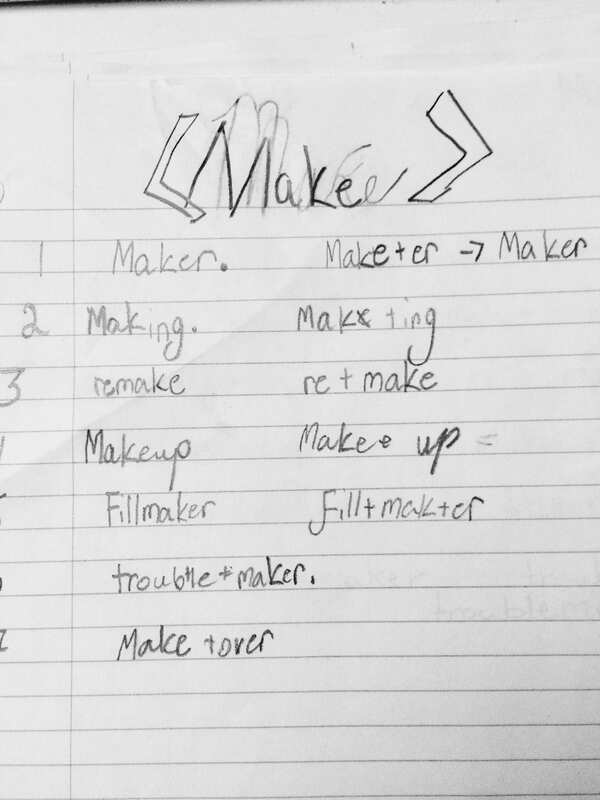 This seems to happen when a student has learned the spelling of a word like <making>, but never really understood its structure. Have someone read aloud the directions, and then please ask if there are any questions about those directions. After that, they may begin. I’d like these turned in before they go to the next class. Save the stack of papers that was collected so I can look them over. Make your list on lined paper. Put both your name and your partner’s name on the top. Skip every other line. Take turns writing the word sums. Write neatly so I can read it easily. Once you are finished, read through your list together. Make sure you could use each word in a sentence. 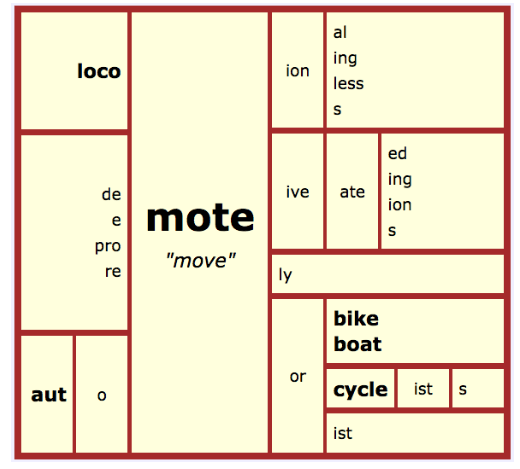 If you aren’t sure what the word has to do with “move”, look the word up in a dictionary. Turn your sheet in to the teacher. What I learned from this paper is that the students understand the suffixing convention of replacing the single, final non-syllabic <e> when the suffix is being added to a base element, but don’t realize that the same convention is applied between two suffixes as well. I notice this in the word sum for <motivating>. Something else that is interesting to note is the word <demotive>. When the students create a word like this, I love to point out its structure. We can make sense of this word’s structure, but can we make sense of its meaning? So next I ask them to use it in a sentence. If they can use it in such a way that we all understand what it means, then we call it a word. We do this whether or not the word is listed in a dictionary. These become our two criteria for whether or not we can call something a word. 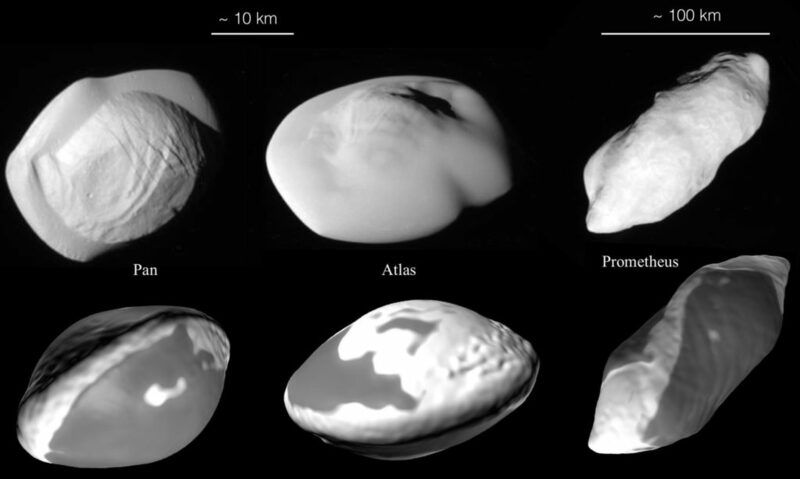 Does it have a structure that we can identify through looking at its morphological relatives? Can we use it in a way that other people understand what it means? 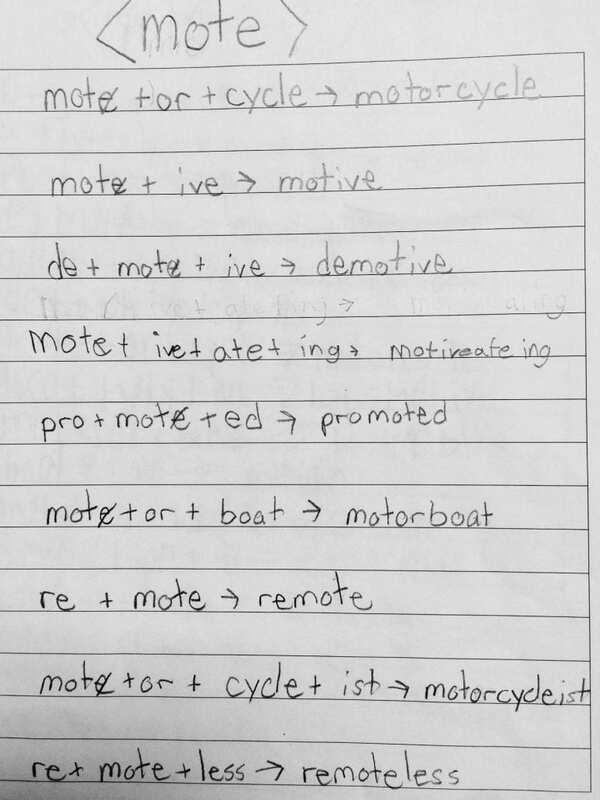 With the word <motorcyclist>, I need to reinforce the idea that <-ist> is an agent suffix. I’ve mentioned it before, but there is so much new information that I’ve presented since the beginning of the year that much of it needs to be repeated! It indicates that this noun refers to a person who is driving a motorcycle. We might then brainstorm some other words with this same agent suffix (chemist, scientist, artist, cellist, pianist, etc.). On a day that I am directing their attention to <-ist>, I might also direct their attention to <-er> which can also be an agent suffix. After we have brainstormed a list of words with an <-ist> suffix, we will brainstorm a list of words with an <-er> suffix. Then we might sort those into lists of words that refer to a person and words that do not. Examples of words with the agent suffix <-er> are teacher, baker, driver, potter, gardener, and painter. Examples of words with an <-er> suffix that are not referring to a person are bigger, wiser, tower, paper, water, and outer. We might take the second list and divide the words up further by thinking about which of those words are used when comparing one thing to another and which just name things. 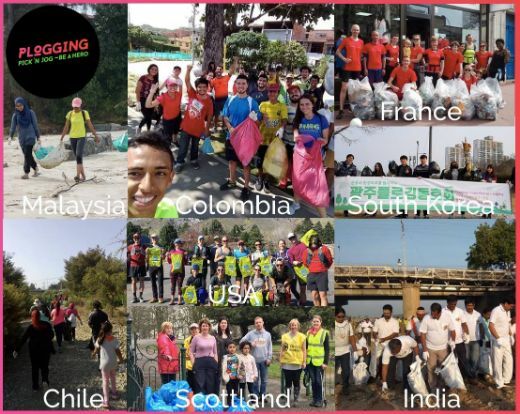 Look at what this group did! They knew there was a meaning connection between automotive and automobile, so they tried to make automobile fit this matrix! Interesting! This tells me that some of my students are still unclear about letters that we replace. We only replace single, final non-syllabic <e>’s. We don’t replace consonants! They are starting to see that our language is orderly and can make sense, but there are still lots of moments when they fall back into crossing off and adding letters willy-nilly because spelling has always felt that way to them. The word right below automobile is also interesting. The students saw the single final non-syllabic <e> on the base and thought that just adding an <r> would work. They didn’t recognize that this word actually took an <-or> suffix. They also did not recognize that there is an <-er> suffix, but not an <r> suffix. This distinction could be made clearer if we spent some time brainstorming words with an <-or> suffix versus words with an <-er> suffix. In the past when I’ve looked at these suffixes with my students, we’ve noticed that many bases that can take an <-or> suffix also can take an <-ion> suffix. Examples are motor/motion, equator/equation, tractor/ traction, reactor/reaction, and director/direction. An activity like that can be done as a whole class if everyone is looking at Word Searcher and thinking about the words listed that have an <-or> suffix. How many of them might take an <-ion> suffix, and how many can’t? Looks like my lesson made an impression on her as well as my students! After they have practiced, lead a review game. You say either a base or it’s definition and each group writes down the base AND it’s definition. Tell them to do this quietly so you can see which group has the most correct answers at the end. When checking to see who had the most correct answers, announce that the base MUST be spelled right, but no point will be lost if the definitions are misspelled. Collect so I can see where everyone is at with this. In the above list you can see another instance of random capitalization with geosphere. I addressed that the first day I was back. 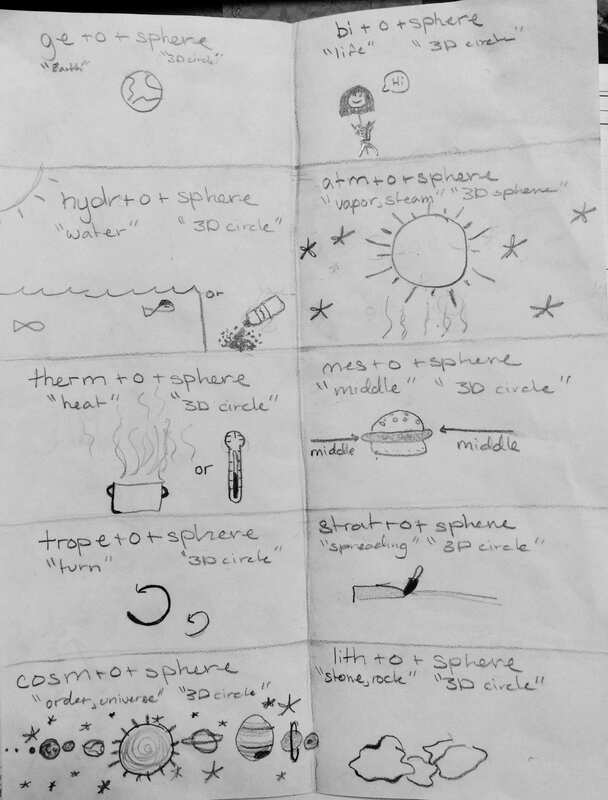 Another thing I addressed was the single, final non-syllabic <e> on <trope + o + sphere –> troposphere>. I explained that the crossing out of the <e> happens when we are considering whether or not there are suffixing conventions that apply to this particular joining of elements. 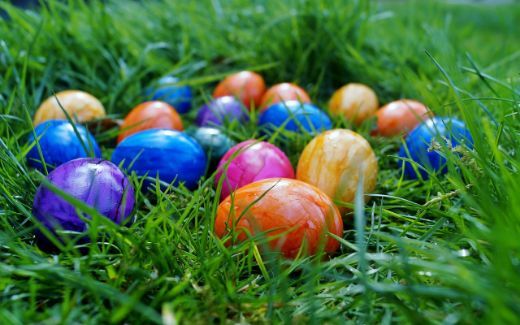 So in a finished word sum, the single, final non-syllabic <e> would have a slash through it to show that it will be replaced by the <o> connecting vowel that follows it and will not appear in the finished spelling of the word. When the finished word is being written, the student is thinking, “t-r-o-p-replace the <e>-o-s-p-h-e-r-e.
“When we were identifying the stem that has become a modern English base element, we removed the Greek suffix <-os>. Why did I put an <e> on <trope>, but not on <atm> or <cosm>?” There was a flurry of hands waving in the air and some hypotheses about pronunciation, but no one understood the reason. So I said, “Let’s try to understand why that <e> is there by looking at two words that are more familiar to you. I wrote <hope> and <hop> on the board. “One of these has a single, final non-syllabic <e> and one does not. What happens when we add a vowel suffix to each of these? “Do you notice that the one with the single, final non-syllabic <e> did not have a double <p> in its final spelling, but the one without the <e> did? You might say that that final <e> prevented the consonant <p> from being doubled.” When we looked at the spelling of the related words <tropic> and <tropism>, we noticed that the <p> was not doubled. If we didn’t place the final <e> on the base element after we removed the Greek suffix <os>, that <p> would double when we added the vowel suffixes <-ic> and <-ism>. The bottom line is that we added the <e> to the base because the base was monosyllabic and had a final consonant with just one vowel before that consonant. If we hadn’t, the doubling suffixing convention would have been applied. The final <e> prevented that from happening. The third day was part of an ongoing review of this particular list of words. It began with investigations and continued with presentations of those investigations. At this point I want to show them that knowing a word’s structure helps them think of the word as a joining of elements (often familiar). 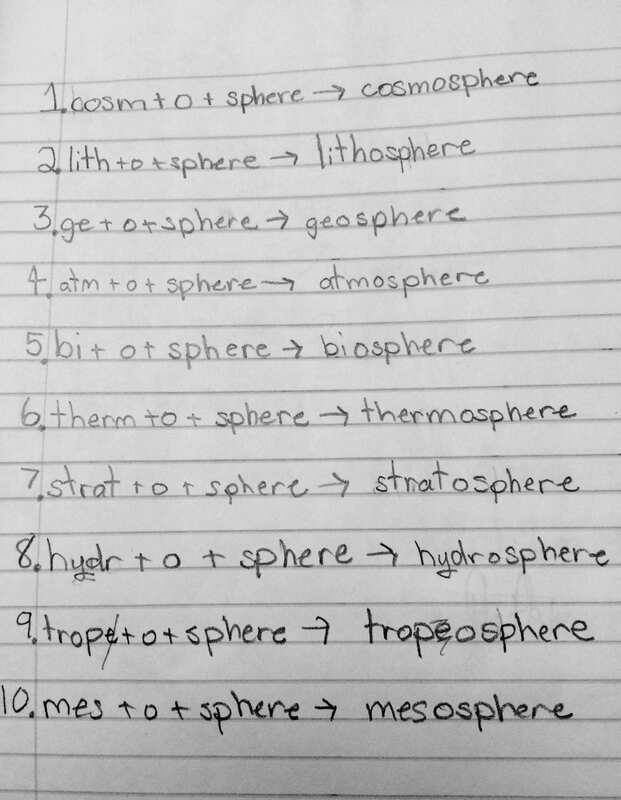 Instead of memorizing this list by reciting the letter order of each over and over, they connect the base to other words that share that base. Those connections are what make the base and its denotation easier to remember. Then, of course, the reciting of word sums helps the students remember the spelling of each element in the word. I discourage my students from pronouncing the elements as if they are completed words. I ask them to spell out all parts of a word sum. The following are pictures of another kind of review. This is called the “Sixty Second Draw”. 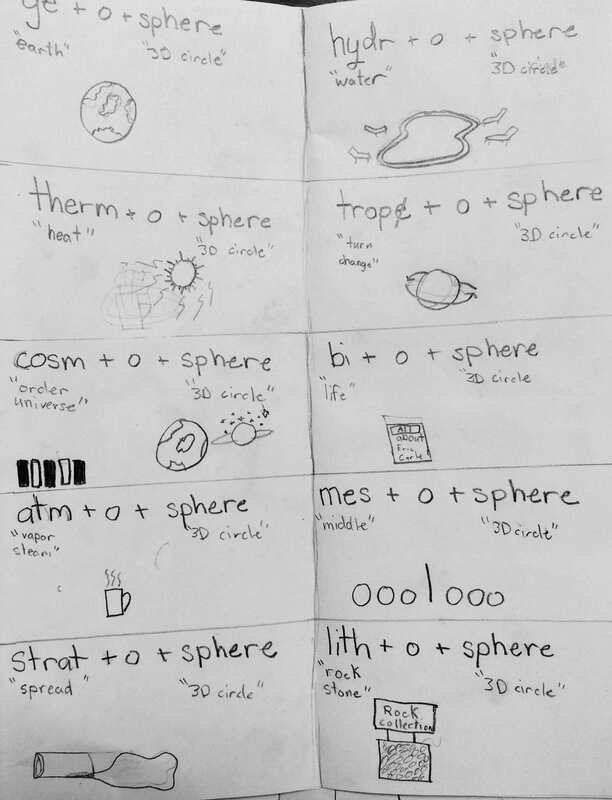 I announce one of the words, and the student has sixty seconds to write its word sum, the denotation of the bases, and to draw something that they think of when they think of what that base means. We did this today to reinforce their understandings of these bases and the shared structure of these words. As part of our deeper look at the biosphere, we have been learning about food chains, food webs and, of course, photosynthesis. 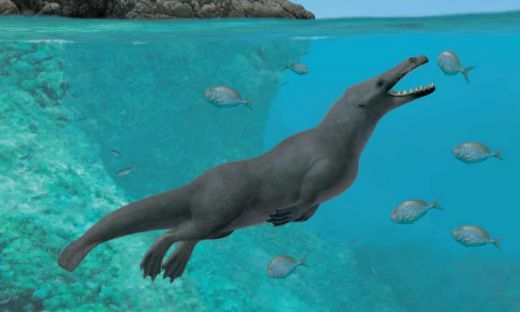 Today, as we were watching a video called “Energy Transfers in Trophic Levels”, the word <hydrothermal> came up. It was brilliant to see the recognition of these two bases among the students! This word was used to describe the vents deep in the ocean that release heat from inside the earth. Certain bacteria live in and near these vents. Since there is no light reaching that depth in the ocean, these bacteria make their own food using chemicals. Instead of doing photosynthesis, they do chemosynthesis! Faces just lit up when the students saw the connection between these two words. My face lit up just watching the students. 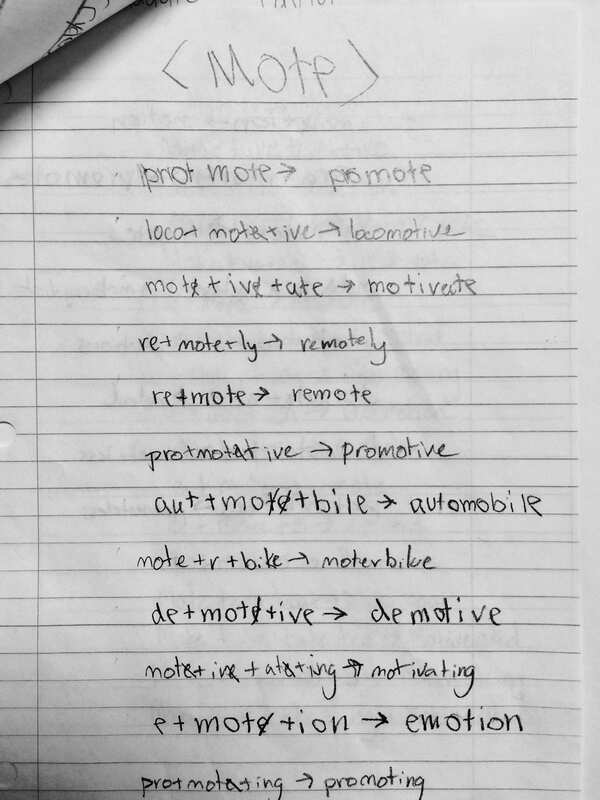 All three days my students practiced recognizing a word’s structure. By reviewing their work, I was able to assess which skills and understandings still needed to be reinforced. I even came up with lesson ideas for the coming weeks! I had three different substitute teachers stepping in for me, and yet I feel like my students moved forward in their understanding. Their learning deepened, my awareness of what they know and need to know deepened, and I aroused the curiosity of those teachers who visited my classroom! What a great welcome back for me! Today everyone grabbed a piece of paper. I asked them to put their name at the top and then to copy down the four words I had written on the board. Once that was done, the students were to look carefully at the four words and identify the base that they all had in common. Some spotted it right away. That usually happens. Hands went up right away, but I didn’t call on anyone. I wanted each student (those who usually offer an answer and those who usually don’t) to think through what the base might be. Once they had identified the base, they were asked to write word sums for each of the words. One of the students said, “We’ve already got the words written down, so it will make sense to write analytic word sums.” I just smiled and nodded. Now I was ready to ask someone what they thought the base was, and how they came to that decision. A student told me the base was <dict>. He figured that out when comparing dictionary and dictator. They both had <dict> in common, but nothing beyond that. I wrote the base <dict> on the board and next to it I wrote its denotation “say, tell”. 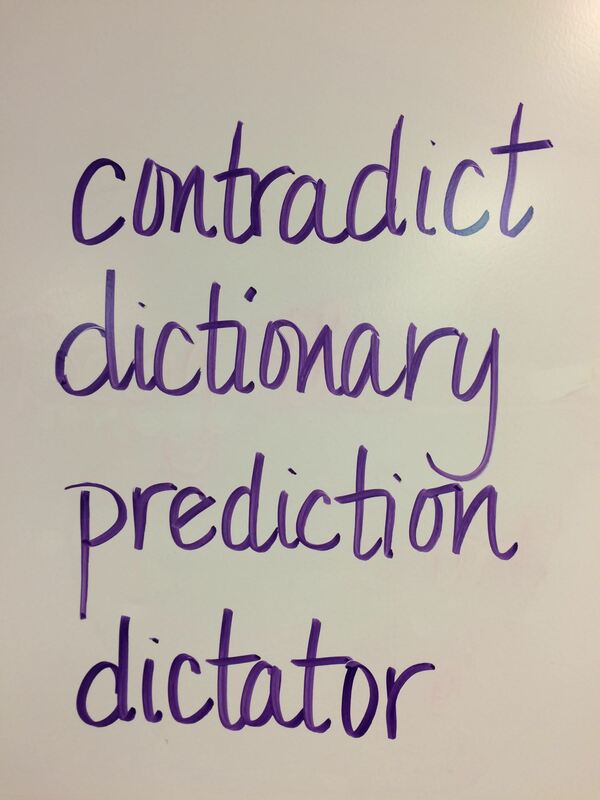 Right away the students started thinking about how each word was related to that meaning. The hands shot up! I said, “Pick any of the four words and tell me what it has to do with “say, tell”. Kyla said, “A dictionary tells you what a word means.” I pointed to our rack of dictionaries and agreed that a certain kind of dictionary will do that. What a great opportunity to talk about different kinds of dictionaries! We know that the dictionaries we often refer to give us definitions of words. 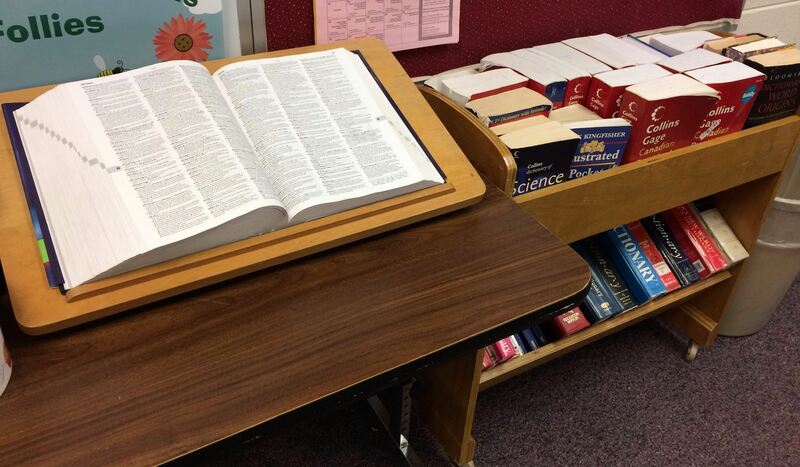 We have a large collection of dictionaries in case what we are looking for is not listed in the first one we grab. I even have a dictionary that has only words related to science! But we also use the Online Etymological Dictionary almost daily, and that has a different purpose. That dictionary gives us information about a word’s history. We use it to find a word’s ancestors, and to learn its story. We read about the ways a word has been used in its life. We learn about spelling and/or meaning changes that have come about over time. We also discover related words. Sometimes it is valuable to cross reference words in our other etymological dictionaries as well. 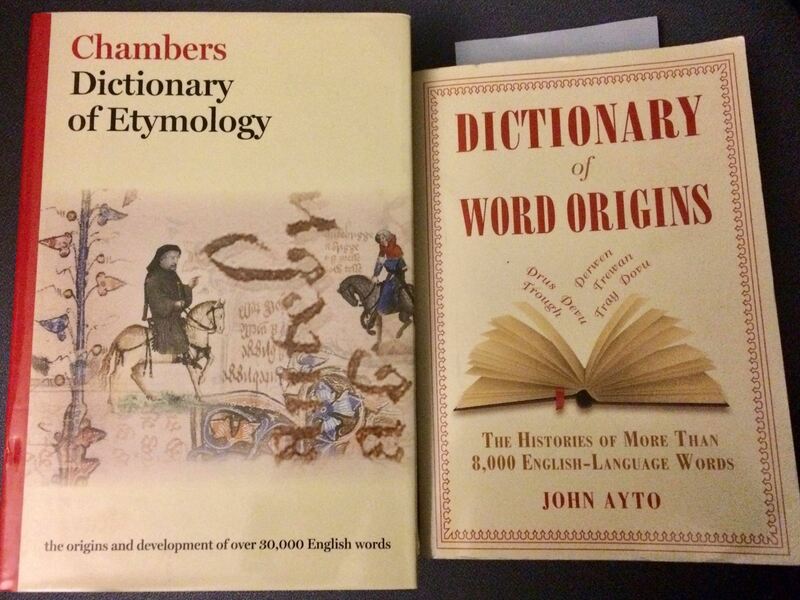 I have copies of the Chambers Etymological Dictionary, Ayto’s Dictionary of Word Origins, the Dictionary of English Down The Ages, and a Dictionary of Word Roots and Combining Forms. I showed them my Latin Dictionary by Lewis and Short. It is an old copy and well loved. It is used when we want to find out more information about a Latin word. 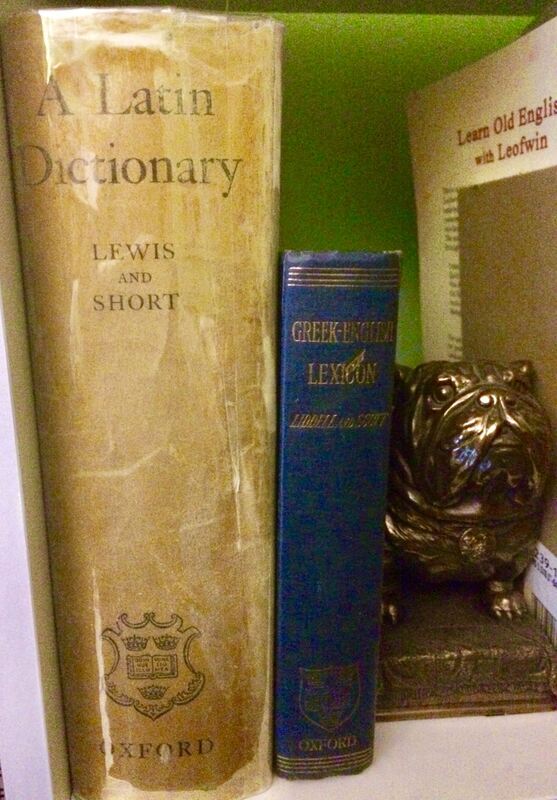 I keep it on the shelf next to my Greek-English Lexicon by Liddell and Scott. 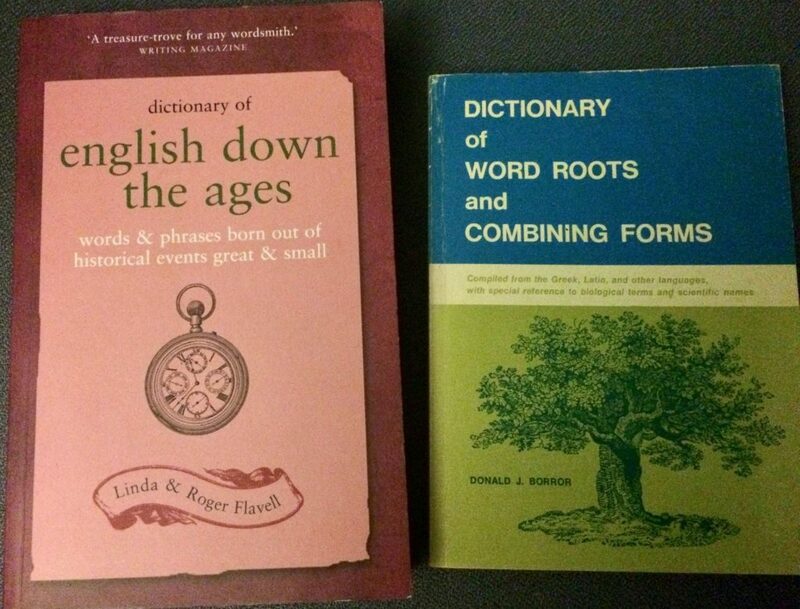 In both of these dictionaries, the words are listed in alphabetical order according to their respective alphabets! These are valuable resources once one knows a bit about Latin and Greek. Another kind of dictionary is one that one of our students carries – her Italian/English dictionary. She speaks Italian and is learning English. Just yesterday she was writing a poem. Since she has only been in the U.S. since September, it is easier for her to think and write in Italian. So she asked if she could write the poem in Italian and then translate it into English. That system works well for her. When she finishes, we look at it together, and I help with further editing. I also have a few Rhyming Dictionaries on my shelf. Students use these when they are writing rhyming poetry. By using this kind of dictionary, a student can often find a word that not only rhymes, but is a perfect fit! Once we finished talking about dictionaries, we realized that we might want to revise our definition of a dictionary. Katya said, “A dictionary lists words and gives us more information about them.” Perfect. And the type of information it tells us depends on the type of dictionary it is! Megan said, “Isn’t that like saying what will happen, but you don’t really know for sure?” Then Clayton added, “Like our Science Fair Projects. We are making predictions, but we haven’t run the experiments yet.” I extended the sense of this word by including those times when we predict how a movie will end, when we’ve only just begun to watch it. I asked if anyone was familiar with the prefix <pre>. A few hands in each class went up, and the students said it had to do with “before”. Then I asked, “Isn’t that cool? The word itself is revealing its own meaning! The base has a denotation of “say, tell” and the prefix has a sense of “before”. We use this word when someone is telling about something before the something has happened! There were very few fifth graders who clearly understood what a dictator was. One or two mentioned that is was a person who told other people what to do. I stepped in and explained that a dictator was a person who ruled a country and had absolute power over that country. The most famous dictators in history were often cruel to the people they ruled. They were more interested in having power. Amelia asked, “So Hitler was a dictator?” I told her that he was one of the worst dictators in history. I told them that in the next few years they would also be hearing about Joseph Stalin, Benito Mussolini, Mao Tse-tung and others. Next we talked about the <or> suffix on this word. I told them it was signaling that this word is referring to a person. An <or> suffix can do that in a number of words. So a dictator is a person who dictates orders to the people he rules. An actor is a person who acts. A governor is a person who governs. A donor is a person who donates something. Then I pointed out that the <er> suffix can sometimes behave in the same way. A teacher is one who teaches. A baker is one who bakes food. A joker is one who makes jokes. I could tell this was an idea they hadn’t thought about before. They were intrigued. When I asked about this word, only one person offered a guess. Hyja said, “Doesn’t it have something to do with arguing?” That was a great place to start! When someone contradicts something someone else says, it can be thought of as a counter argument. A contradiction is often saying the opposite or something very different than what has already been said. For example, if I said that our science journals were due on Tuesday, and Aiden said they were in fact due on Saturday, I could ask him why he was contradicting me. We both can’t be correct. Now I pointed out the base <contra> “against”. I compared the word contradict to contraband. With the use of contradict, a person is saying something against or with an opposite feel of what has already been said. With the use of contraband, there is a feeling of smuggling something. When you bring an object into an area and you know that object has been forbidden to be in that area, you are going against the rule or the command. That object is contraband. At this point, I asked students to come up to the board, choose one of the four words and write a word sum. You’ll notice a space in the word sum where a plus sign was. I erased it and shared that the first base in this compound word was <contra>. Then I mentioned that given our discussions recently about the prefixes <con> and <com> and their assimilated forms, I could understand how the students might spot the <con> here and think it was a prefix. The interesting follow up discussion we had here was with the first word sum. Someone asked, “Is <a> even a connecting vowel?” What a great question! We were able to review that the Greek connecting vowel was <o>, and the Latin connecting vowels were <i>, <u>, and <e>. We were also able to review the suffixing convention of replacing a final non-syllabic <e>. I asked if we could remove the <or> suffix and still have a recognizable word. Everyone agreed that we would be left with dictate. So I asked how we would spell that. Immediately students recognized the final non-syllabic <e> on the suffix <ate> that would be replaced with the <or> suffix in this word. It is important to keep pointing out that a final non-syllabic <e> may not always show up in a final word, but that doesn’t mean it is not part of a word’s construction or word sum. This activity was well received. Students who have been hanging back, not expecting to understand this are starting to volunteer to write word sums at the board. Students who are thoroughly enjoying this way of looking at words are asking amazing questions. As we were discussing how the words were related in meaning to the base <dict>, Kayden raised his hand and asked, “How does the word addiction fit in to all this?” He recognized that <ad> would be a prefix, <dict> would be a base, and <ion> would be a suffix. I told him that the prefix <ad> brought a sense of “to” to the word. And that a person with an addiction is a person who has declared a specific habit to be controlling in their life. We didn’t delve all the way into this base today. We didn’t make a matrix full of <dict> possibilities. But we did practice using a list of words as evidence for proving a base element. And we did practice taking the time to understand the meaning connections between members of a word family. And we did review a suffixing convention as well as learn about two agent suffixes. Today was about building our knowledge base. It was about learning things to take with us as we move forward in studying other words and their families.